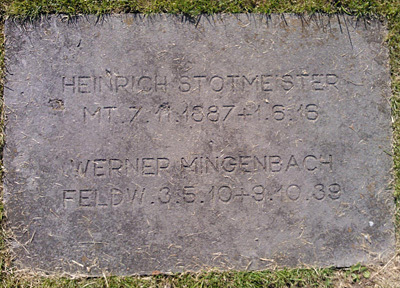 He 59 werknummer 1998 crashed in the North Sea 9/10 1939. The aircraft belonged to 3./ Kü.Fl.Gr 706. The He 59 crashed into the North Sea with the loss of the crew. The wreck is recorded to have been observed. The body of Pilot Feldwebel was found washed ashore at Kungälv in Sweden on 5/12 1939 and was laid to rest in Lycke cemetery on 6/12-1939. His remains was moved to Gothenburg / Kviberg Cemetery in 1966. 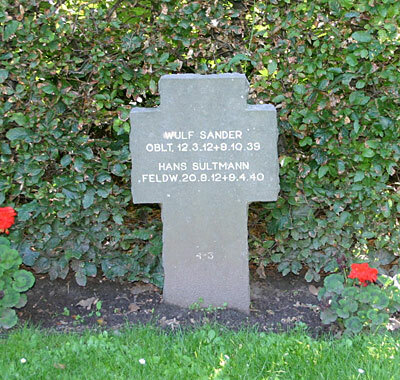 Oberleutnant Wulf Theodor Sander was laid to rest in Fovrfeld cemetery in Esbjerg on 10/5 1940. If Oberleutnant Morhol and the last crewmember have been found is not known to the author. Sources: RL 2 III/184, BE, UA, MH, Book "Tyske nölandare 1939-1945" by Bo Widfeldt.